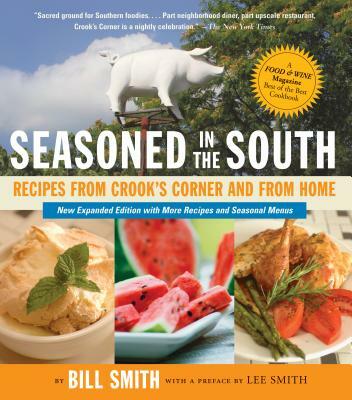 For more than a decade, Bill Smith has brought his intuitive and inspired approach to cooking to one of the South’s liveliest and most innovative kitchens. Structured around the seasons and the freshest seasonal foods, Seasoned in the South offers up Smith’s marvelously uncomplicated recipes— Tomato and Watermelon Salad, Fried Green Tomatoes with Sweet Corn and Lemon Beurre Blanc, Pork Roast with Artichoke Stuffing, and his signature dish, Honeysuckle Sorbet—the new bistro food of the South. Bill Smith has served as chef at Crook’s Corner for more than a decade. His essays have been featured in newspapers and on radio and television, and his recipes have been selected for 150 Best American Recipes and Food & Wine Magazine’s Best of the Best.